Here’s yet another reason why test scores can’t be the only way to gage teaching quality. 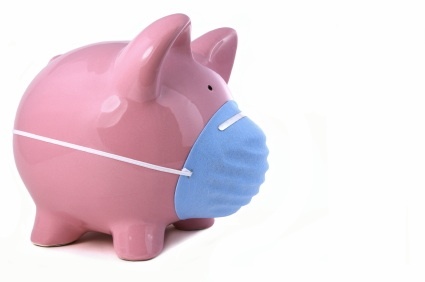 A colleague of mine, a fifth grade teacher, at the UCI Writing Project got a call last night from her automated phone tree saying that the school was being closed for 7-14 days due to a swine flu outbreak in the classes. Two confirmed cases, 8 kids out last Friday in her class alone, a teacher or two out…OK, I guess if we’re closing schools for flu outbreaks, they seem to have one. But the stressful thing here is not the flu itself. No, the vomiting is outweighed by the reality that the school is scheduled to have testing next week. The AP is calling Sacramento to see what can be done. What do you mean, “What can be done?” Do you mean postpone the tests, or simply put them in the frame of reference to which they belong; that is, they are one way, a frankly inaccurate photograph, of an entire year’s accomplishments? I agree that we need some standardized assessment of students to see if they are hitting the basic foundation of our standards. Standards, of course, are for another post entirely. They do not, for example, represent the level a student thinks, but rather, how many facts a student can regurgitate. 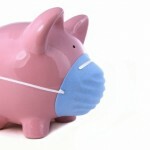 Hmmm…Perhaps the swine flu is good preparation for tests after all. Anyway, putting aside the quality of the standardized tests in their current form, this example just adds to the main reason why test scores can’t be our only gage: there are too many factors outside of the classroom that impact test scores. We cannot continue assessing teachers using a method where so many variables can be corrupted. Abuse at home, homelessness, health care, hunger, nomadic lifestyles, divorces…these all affect tests scores. Gossip, breakups, upcoming thoughts of birthdays, pizza for lunch…these all affect test scores. Bubbling incorrectly, anxiety, sleepiness…these affect test scores. So do school closures. So do teachers that students have had years prior. And yes, a small slice of the assessment pie would be the quality of the current teacher. But how do we explain those students who always do well, no matter which teacher they have? How do we explain those students who never do well, no matter which teacher they have? Tests are too imperfect, and evaluating teachers is too important to leave in the hands of imperfection…much less swine flue. I guess no one can visit Mexico until AFTER the end of year testing!! President Obama, can you close the border for families with school children so that we can give our End of Year Tests as required by the federal government? ???? ???????? ??? ??? - ???? ???????? ??? ??? ????? (Air-King) ?????????????34mm???????????????????????????????????????????????????????????????????????????????????????1940??????????????????????????????????????????????????????????????? ?